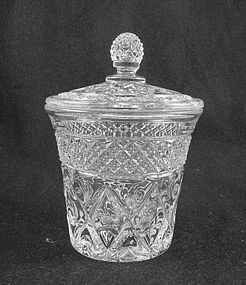 Imperial Glass Company's Candlewick pattern is perhaps the most easily recognized of the elegant glass patterns. 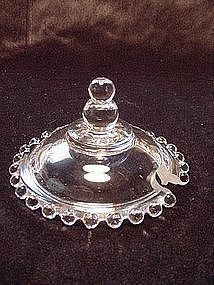 Offered here is 6 1/2 inch round covered butter dish in excellent condition. See my other listings for more pieces in this pattern. 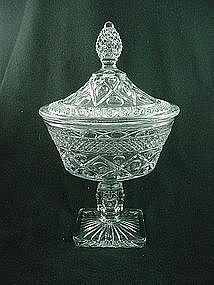 The Cape Cod pattern was produced by Imperial Glass Company from 1932 through 1984 when they closed. Not all pieces were made throughout those years, but the long production period is testimony to its lasting popularity. Offered here is the marmalade jar & cover that dates to the 1940's - 50's. Excellent condition, see my other listings for more in this pattern. 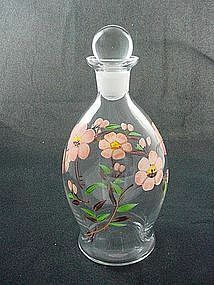 The Cape Cod pattern was produced by Imperial Glass Company from 1932 through 1984 when they closed. Not all pieces were made throughout those years, but the long production period is testimony to its lasting popularity. 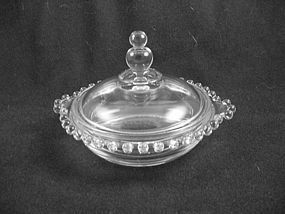 Offered here is the #140 comport & lid in crystal that dates to the 1940's - 50's. The comport stands 10 inches high to the top of the knob handle and is 6 1/4 inches wide. Excellent condition, see my other listings for more in this pattern. Imperial Glass Company's Candlewick pattern is perhaps the most easily recognized of the elegant glass patterns. Offered for sale here is the 400/156 mustard jar & lid in excellent condition. I have 2 available, price is per jar. See my other listings for more pieces in this pattern. 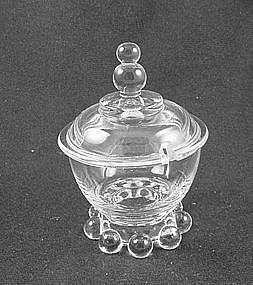 Imperial Glass Company's Candlewick pattern is perhaps the most easily recognized of the elegant glass patterns. Offered for sale here is the 400/89 marmalade jar lid in excellent condition. If you need a lid to complete your set - or to replace a damaged one, here's your chance! I have 2 available, price is per lid. See my other listings for more pieces in this pattern.